Visit safe San Jose del Cabo for expert dental care, and save around 70% compared to your dentist at home. We can help you find a quality-checked dentist so you can get your teeth fixed while you are on holiday. Downtown San Jose is lovely with jacaranda trees and old homes converted into stylish shops and restaurants. Lying 17 miles east of the popular Cabo San Lucas, San Jose is the quieter of the two resorts. The historic center is a favorite for tourists, businessmen and locals alike for its choice of fine restaurants and shopping, and even though it is busy there is an over-riding feeling of tranquility. 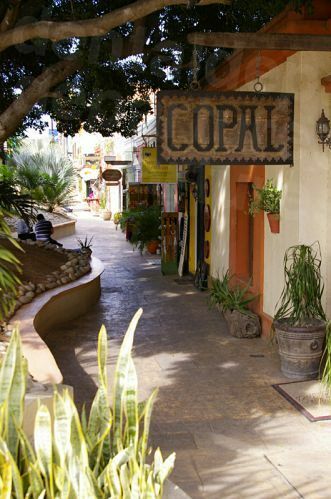 San Jose del Cabo retains a quaint charm. You will find an art district near the town square where every Thursday evening from November until June sees an organized ‘Art Walk’ among the local galleries, most of which are located on Obregon Street, behind the church. It’s a civilized way to appreciate the work of local and international artists, while enjoying a glass of wine and some nibbles. For nature lovers, the city, surrounding desert landscape and Sea of Cortez coastline are abundant with life. A natural estuary covers a large part of the southeast city and turtles, fish, marine mammals and birds can be observed here. 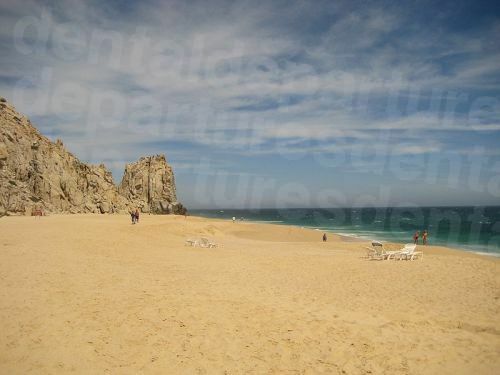 Puerto Los Cabos is the new marina, next to the village of La Playita which fronts the Sea of Cortez. This area is being thoughtfully developed and activities currently include golfing and fishing. For those who want to explore the real Baja, there are 50 miles of rugged road leading to secluded beaches and the small fishing resorts of Los Barriles, and the journey starts in San Jose del Cabo. A wondrous place for a vacation, San Jose del Cabo offers dental patients from North America a variety of activities and top affordable, top-quality dental care only a few hours away from home. Where is San Jose del Cabo? San Jose del Cabo is located at the southeastern tip of the Baja California peninsula. 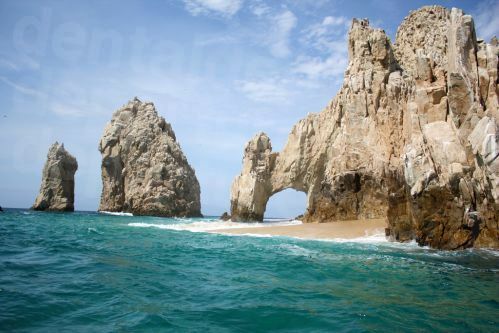 Together with neighboring Cabo San Lucas, it is one of the most popular holiday destinations on the Baja Peninsula. Why Visit a Dentist in San Jose del Cabo? San Jose del Cabo is certainly convenient for many North Americans, and with neighboring Cabo San Lucas provides the best of both worlds – peace and tranquility or high-octane partying. Similarly, activities can be as sedate or as thrilling as you want. Obviously, you may not know exactly how you are going to feel after your dental care, so having all the options available is the best case scenario. A large ex-pat community has settled in this area over the years, with a number of US and Canadians choosing to retire here. 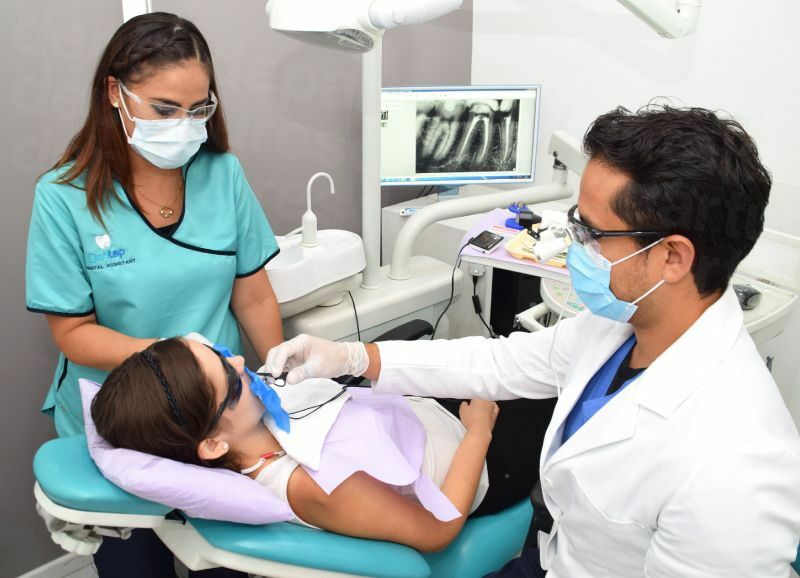 As you would expect, healthcare is important to these residents and you will thus discover many good quality dentists in San Jose del Cabo and throughout Baja California Sur. You do, of course, want to make sure that you find a reliable dentist, which is why booking with Dental Departures makes sense. Our verified dentists in San Jose del Cabo have all been background checked, not only for qualifications and experience, but we have also done criminal and malpractice checks too. You can book with us in complete confidence, knowing your dentist is reliable and trustworthy, which is of major importance. 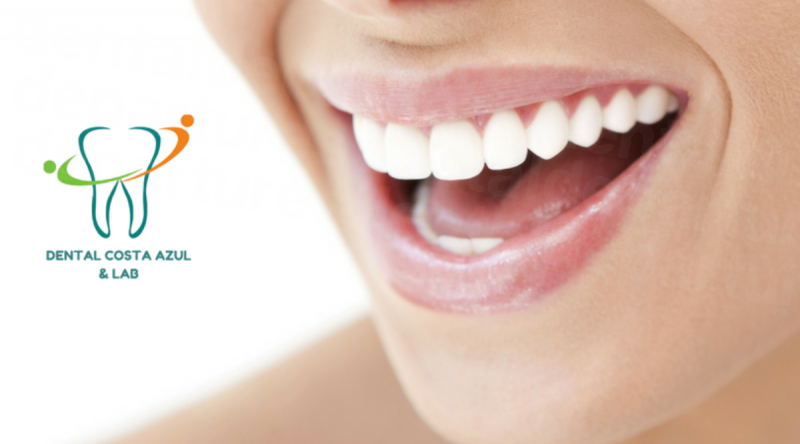 Affordable dentistry is one thing, but so is knowing you will receive good dentistry too. You can indulge yourself at a deluxe, all-inclusive 5-star resort with ocean views, or take a budget option. 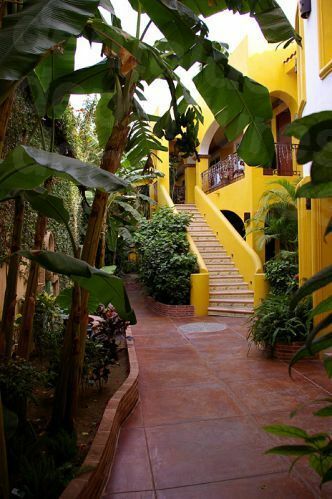 The accommodation possibilities in San Jose del Cabo are endless, and depending on the nature of your treatment some of our dentists offer free or discounted accommodation in local hotels. Please enquire for further details. Yes – Baja California Sur is one of the safest states in Mexico and tourist should feel at ease in San Jose del Cabo. Unfortunately, crime is everywhere in the world, but here it is mostly minor and anyone visiting really only need take the usual precautions you would when visiting any strange city. Locally, a lot has been done to make sure the areas of San Jose del Cabo and Cabo San Lucas stay safe, with a dedicated tourist police force and a Ministerio Publico, similar to the US’ District Attorney. Dental Departures works hard to make sure you have a good overall experience, from ease of booking and customer care as well as your actual dental procedure. We know that if you choose a reliable clinic then you are more likely to get great care. We do our best to ensure our dentists are trustworthy – all our background checks into dentist qualifications and their experience is listed on our website. Alongside clinic photos, virtual tours and real patient reviews you can get a pretty good overview of the kind of service you can expect at a particular clinic. It is not unusual for patients to have a better experience with us than they would with their dentist at home. Prices may be less in San Jose del Cabo, but this doesn’t mean the quality is. Clinics are modern, well-equipped and hygienic; the best clinics here are on par with the clinical outcomes and customer service you would expect of your dentist at home. What Happens If Something Goes Wrong? Is My Dental Care Have guaranteed? All our verified dentists have guarantees or warranties on both the procedure and on any materials used – which is something that your dentist at home doesn’t necessarily provide. Thankfully, in the rare occurrence that things do go wrong, you can also be assured Dental Departures will act on your behalf to make sure that any problems are put right. The large ex-pat community, its popularity as a holiday resort and its proximity to the US has ensured that English is widely spoken in San Jose del Cabo, so there is no need to be fluent in Spanish, although any attempt you make to speak the national language is always appreciated. US cash is accepted everywhere, but you will need to check with each individual clinic about other payment methods they accept. Many do take debit and credit cards, as well as personal and traveler's checks. Please note that credit card payments may be subject to a small processing fee (usually of between 3 and 4%). Dentists in San Jose del Cabo are not usually able to invoice your insurance company directly, but, you may be able to claim for your treatment costs when you return home if your provider allows ‘out-of-network’ care. Before you travel you will need to check with your insurance company and make sure you receive the appropriate forms and documents to bring with you for your dentist in Mexico to complete. When is the Best Time to Visit a Baja Dentist? Our dentists are open all year round, and so you can visit San Jose del Cabo at any time for your dental treatment. The weather here is near-perfect throughout the year, with average temperatures of 78F (25C). Peak tourist season is from October to April and low season is from May to September where temperatures may be a little hot. In August and September, it may reach around 100F (around 38C). Is San Jose Wheelchair Friendly? Not everywhere is wheelchair accessible – some areas are cobblestones, sidewalks may be narrow and without cutouts and getting in and out of some shops or restaurants that have steps may be difficult. However, there are plenty of places where you will find things easier - some of the beaches are accessible: particularly the newly renovated town center and the marina. Plenty of hotels are wheelchair friendly, with wheelchair-friendly services such as taxis available. Talk to us if you are concerned about disabled access – we will always make sure we can get you to one of our great dentists, and many of our dentists offer pick-up and drop-off services to make it easier for you. Crime here is fairly low and tends to be of the petty, opportunistic variety which happens in holiday resorts and cities everywhere. Keep an eye on your belongings. Timeshare salesmen can be a bit of a nuisance unless you really are in the market for a timeshare. A firm ‘no gracias’ will usually see them on their way. For dental patients, it may come as a surprise that sedation dentistry is not used as standard here, as it is in the US and Canada. Thankfully, most of our dentists can arrange this, but it will need to be booked in advance as the services of an anesthesiologist are required, which will cost an additional $400-$600. If you require anxiety medication, such as Valium, you will also need to request this in advance too. What Else is There in Town? Playa Estero is not recommended for swimming but is a lush oasis and home to more than 350 species of wildlife and vegetation. You can enjoy a pleasant walk along here, or rent a kayak and really get close to nature. The Playa Hotelera is another long stretch of beach running along the hotel fronts. Take in the sunset on a leisurely stroll, stopping off for snacks and drinks in the hotels en route. There is also usually horseback riding available along this stretch too. You will discover a variety of boat tours which take you around the sea-lion colony: El Arco and Land’s End. They usually include a bar and some offer snorkeling and lunch. You can also go on a whale-watching trip into the Pacific Ocean too. As you would imagine with the incredible stretches of coastline in the area, there is all manner of water sports including jet-skiing, water skiing, banana boats and para-sailing, to name but a few. On land there is go-karting, four-wheeling in the desert, or hire yourself a Harley-Davidson and tour the area in style. Nearby towns offer incredible views across the countryside and are worth a trip to discover appealing boutiques, lovely restaurants and pretty streets. Cabo San Lucas International Airport (CSL) is the nearest airport with regular daily flights from across US, Canada and the world. Although most people tend to fly to Cabo San Lucas for their dental treatment, it is a lovely, scenic route driving down the peninsula from San Diego-Tijuana or Calexico-Mexicali along the Carr Fed 1/Mexico 1. It is mandatory to have third party insurance in Mexico, which will usually have to be arranged separately from your US car insurance. You can buy it online for around $10 a day. Driving is a great way to see the amazing scenery of the Baja California peninsula. If you decide to drive to San Jose del Cabo for your dental treatment remember to check the hours of operation at the border crossing you choose – and to bring your passport for re-entry to the United States. Call us toll-free or book your appointment online with one of our affordable, quality-checked dentists in San Jose del Cabo.